What’s shaking guys? I’m actually writing this post down in LA before I head off to FILM A DEMO of one of my recipes. Pretty exciting, right? 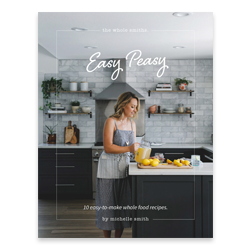 If you follow me on social media, you know I recently entered an online recipe contest, and while I didn’t win I came in 2nd and the company invited me down anyways to film a commercial shoot of me making my recipe. Pretty fun stuff. So a giant THANK YOU to everyone who voted. Let’s hope I don’t make too much of a fool of myself! I’m about to take off and head to the house they rented to film at so I’ve got to make this post a tad short so let’s talk enchiladas! But lucky for you this recipe pretty much speaks for itself! 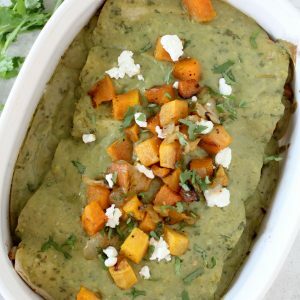 I mean, paleo chicken enchiladas? What’s not to love right? I have a hard time sometimes when I create a recipe that I really love. Don’t get me wrong, I work really hard making sure ALL of my recipes are tasty for you. Trust me, there are many that end up on the chopping block that you never see. And my poor family stomachs down! But sometimes, I create something that I feel really knocks one out of the park. Or fills a void in paleo land. 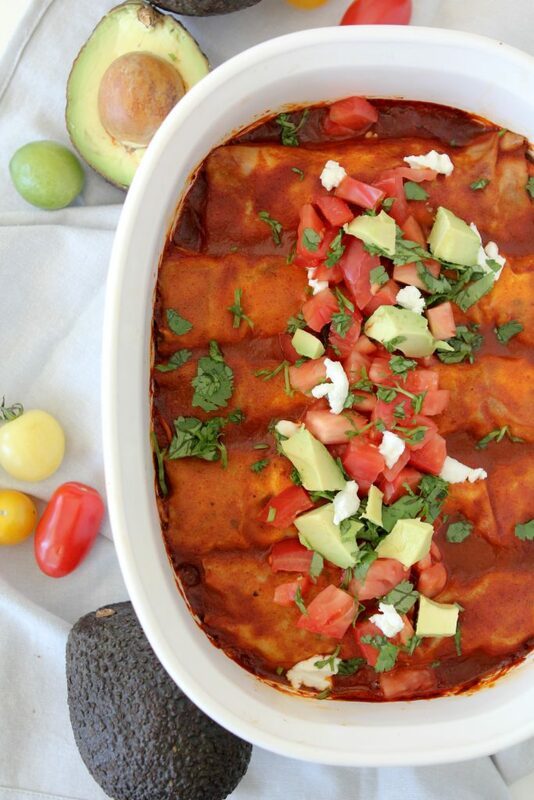 And these enchiladas do just that. But at the same time, I feel like a little bit of a jerk singing my own culinary praises. It seems a bit egomaniacal to me and I never want it to come across too sales-y. But I truly get so excited to share deliciousness with everyone and I really want you to give it a try because I just know you’ll love it too. And I so passionately believe that healthy (paleo) foods are never a lesser version in the flavor department of their original counterparts. 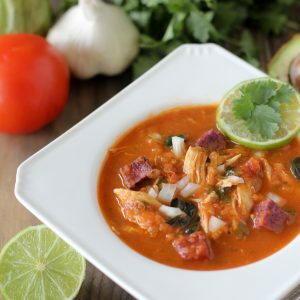 In fact, they more often than not can pack more flavor because you’re using real ingredients that haven’t had all of their flavor processed out. So I always hope my enthusiasm for bringing you my recipes is never construed as me being a cocky chef. With that being out of the way, let’s talk about these guys. As usual when creating the recipe, I think to myself, “How and where can I add more veggies into this?” And with my excitement still lingering over the fact that Whole Foods now offers fresh cauliflower rice in their produce department, I realized that would create the perfect filling in addition to your other enchilada ingredients. I may try adding some chopped kale into it the next time I make it as well. In place of tortillas, I used Paleo Wraps, but you can use any other paleo tortilla recipe you have. 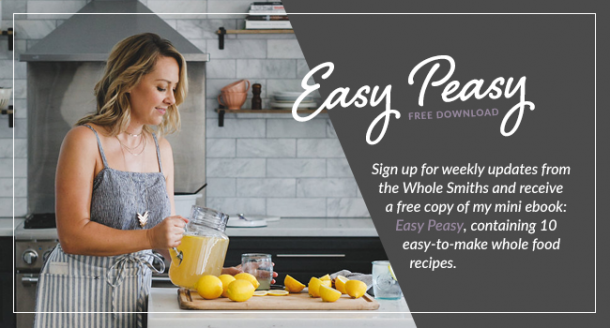 I personally like the recipe from Stupid Easy Paleo which you can find HERE. Another note is on the enchilada sauce. I used Frontera red chile enchilada sauce because I wanted to keep things easy and quick (rather than make my own this time) and they have minimal ingredients in their sauce but it does have a bit of sugar, 1gram. Personally I don’t worry about the 1 gram, but if you’re on a Whole30 you do. So if you’re doing a Whole30 I suggest making your own. 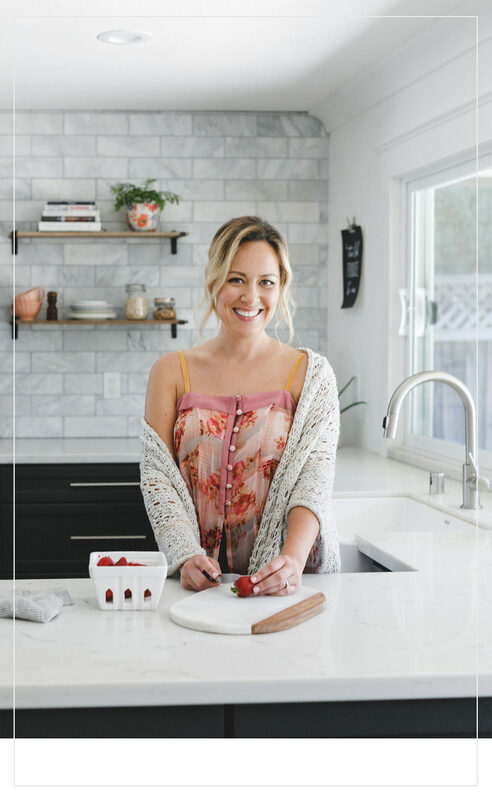 And Kindra at the Goodie Goodie Foodie has you covered with a recipe HERE. See? But I know what you’re thinking.. But Michelle, tortillas of any form NOT Whole30 compliant. And you’re right. So what you’re going to do instead is take the filling (which IS Whole30 compliant) and stuff it in to a potato of choice and smother that shizzz in Kindra’s enchilada sauce. I promise you will love it just the same. And make sure you leave out the optional bit of goat cheese. And there you have it and paleo enchilada and a Whole30 enchilada potato! I promise you won’t even miss the cheesey, flour tortilla-ness of a traditional enchilada. Your enchilada craving will be effectively filled. 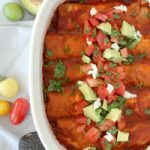 A paleo, gluten free, dairy free enchilada using chicken and cauliflower rice. 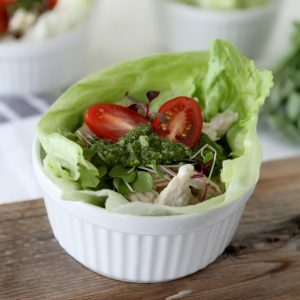 Pingback: The Ultimate Paleo Chicken Recipes Round Up! - Oh Snap! Let's Eat! this look wonderful! I will make it tonight perhaps. Have you tried freezing it before ? Thank you! What would you do to turn this into a green chili enchilada recipe? If i wanted to use the frontera green sauce? Omit the tomatoes, too? Thanks!